Boka Bay, one of the world’s 25 most beautiful bays and protected UNESCO World Heritage Site, is undeniably most impressive when approached from the sea. Due to its unusual look, the bay is often called Europe's southernmost fjord, but in fact it's a submerged river canyon. 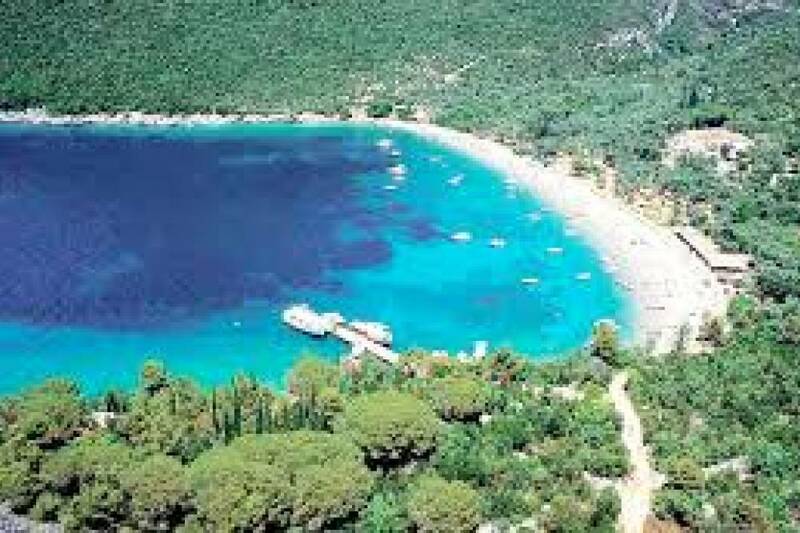 The bay is composed of 4 smaller bays - Tivat, Herceg Novi, Risan and Kotor bay. The narrowest part of the bay, Verige strait, divides it into the inner and outer part. Boka Bay glows with amazing calmness and peace. Sailing on the ice-like calm surface of the Adriatic sea will lead you through the picturesque nature, rich history and marvelous architecture. The steep clifs of Lovcen and Orjen mountain massifs upraise above the thin coastline watching over the beauty of the bay, protecting it of the cold northern winds. During the winter while the mountains are covered with snow, the yellow flower mimosa blossoms and attracts a lot of visitors with its sweet scents to the traditional Mimosa festival in the Bay of Herceg Novi. The whole bay is a big botanical garden, a habitat of plants and flowers from all over the world: mediterranean fruits, olives, chestnuts, agave, palms, oleander, even bananas. The waves of the sea whisper the stories about great rulers, noble families, famous captains and sailors of the Boka bay. This bay was a great shelter of many rulers since ancient times, who contributed the establishing of settlements by building their palaces, summer residences, churches, harbours and shipyards. The Illyrian and Roman Empire established the first little town Rhizon (Risan) and decorated their palaces with various mosaics. The Venetian Republic held the inner part of the bay for four centuries and protected it of the Ottoman invasions. In the 19th century the Austrian- Hungarian empire converted the whole Boka bay into the military port, built a military shipyard and brought their big vessels into the bay. Even the Ex-Yugoslav army used this bay as the important military base. If you take a boat ride in the most beautiful Bay on the Mediterranean, our guide will show you the traces of its stormy history. We start our tour in the morning by coach to the town of Tivat. After we embark on the ship, the excursion through the Boka bay, the pearl of the Mediterranean begins. We sail from Tivat along the Lustice peninsula to the entrance of the Boka bay, passing by the both medieval and modern settlements, where we make our first stop for swimming. You have a chance to refresh in the clear blue water or to visit the so-called Blue Cave (optional), located along the very jagged coast of the Lustice peninsula. Its name comes from an unusual crystal blue color resulting from the reflection of rays on the surface during sunny days. After one our break, we continue our journey along the coast of Herceg Novi, the youngest town in the Boka bay, the town of fortresses, stairs and flowers. In midday the lunch will be served on the ship. For those who like the Mediterranean cuisine fish will be served. If you would rather like to taste something traditional, we propose you Njegusi steak. 'In vino veritas, in aqua sanitas', i.e., 'In wine there is truth, in water there is health.' both served during the lunch. Passing through the narrowest part of the Boka bay, Verige strait, the Baroque town Perast and its two islands welcome us. Visit of the artificial island Lady of the Rocks is foreseen. The island and its church are the great work of the people from Perast. The church and its treasury will amaze you with its unbelievable story about its building as well as the valuable objects, sacrifices of the sailors and noble families. Sailing forward into the deepest part of the Boka bay, we will make one more stop. After we moor in front of the Baroque town Perast or medieval town Prcanj, you can take a walk through the nobel palaces and churches or simply enjoy the coffee on the coast of the Bay of Kotor. The last but the most attractive part of the Boka Bay is the Bay of Kotor and the Old town of Kotor, a medieval town surrounded by impressive walls, which has been placed under UNESCO protection for its numerous cultural and historic monuments. We disembark in the port of Kotor and go back to your hotel by coach.